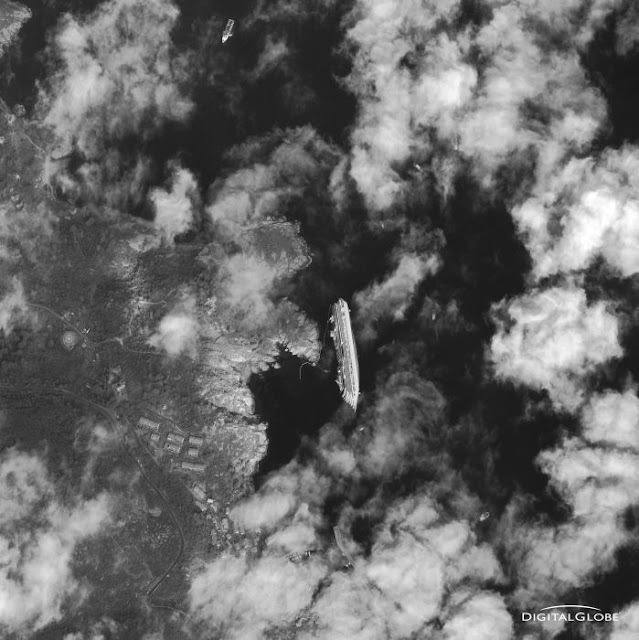 Costa Concordia, Giglio, Italy-January 17, 2012: A luxury cruise ship ran aground in the Tuscan waters off of Giglio, Italy on Friday, January 13, 2012. 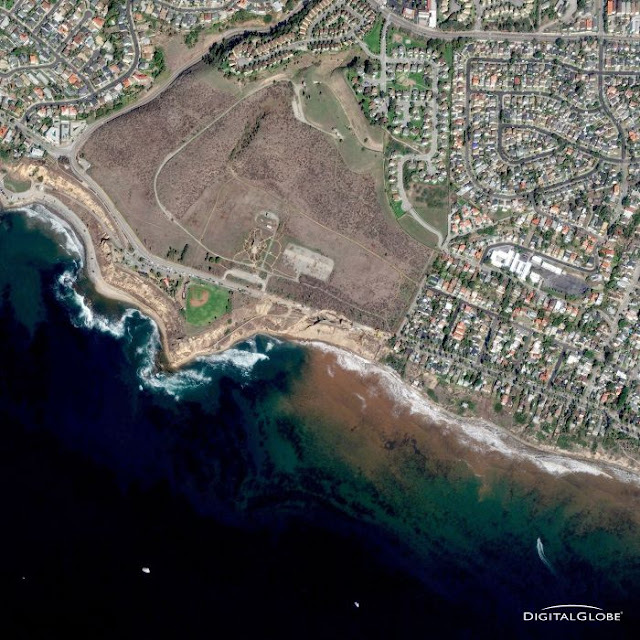 This is a satellite image of an ongoing landslide affecting the area near San Pedro, California. 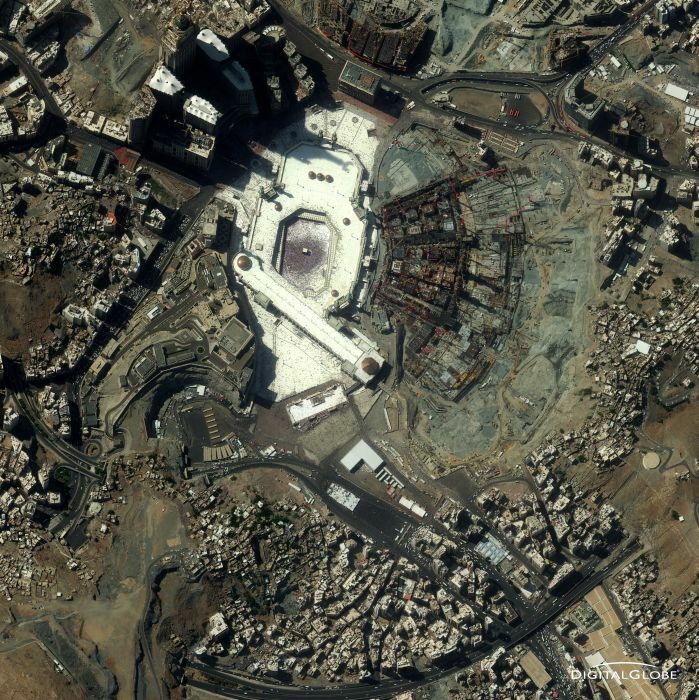 The Hajj, an annual pilgrimage to Mecca, Saudi Arabia, is the largest pilgrimage in the world. 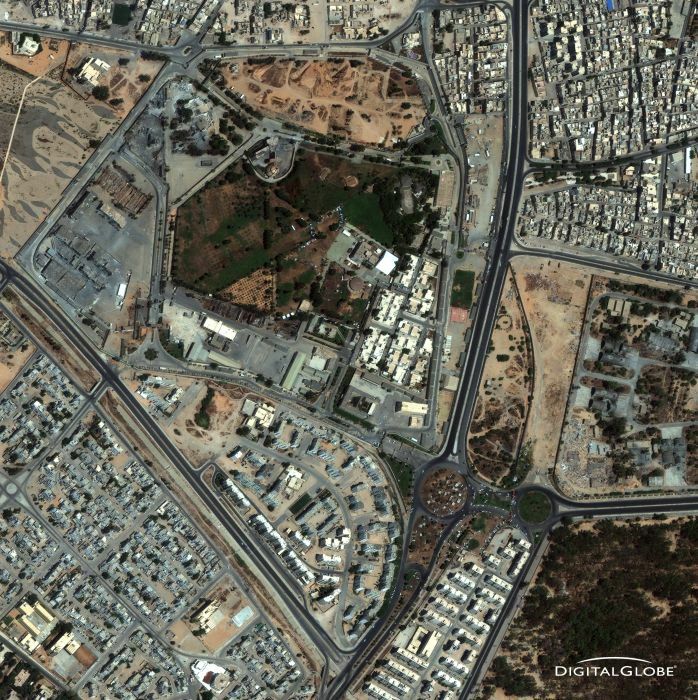 More than 2.5 million Muslims are expected to perform this religious duty from November 4-9, 2011. 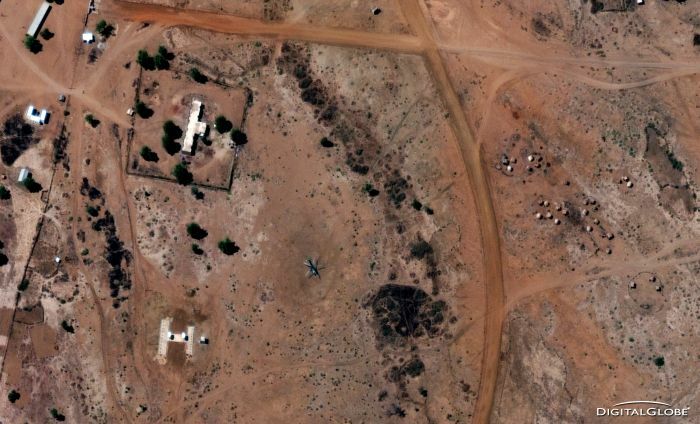 Locals are park their vehicles loaded with belongings on overpasses to protect them from flood waters. 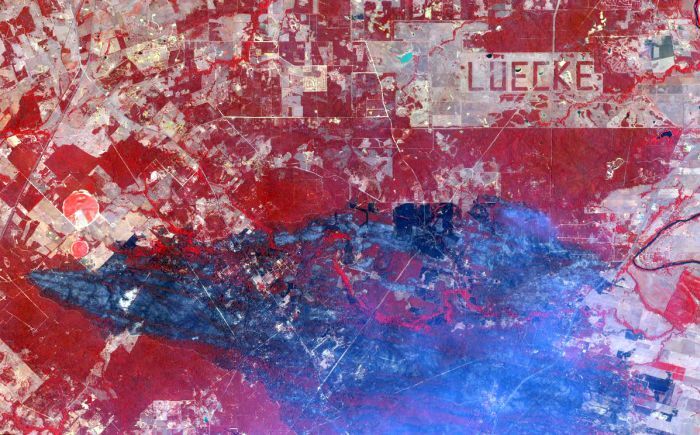 This is a false color DigitalGlobe satellite image featuring the wildfire burning outside Bastrop, Texas. 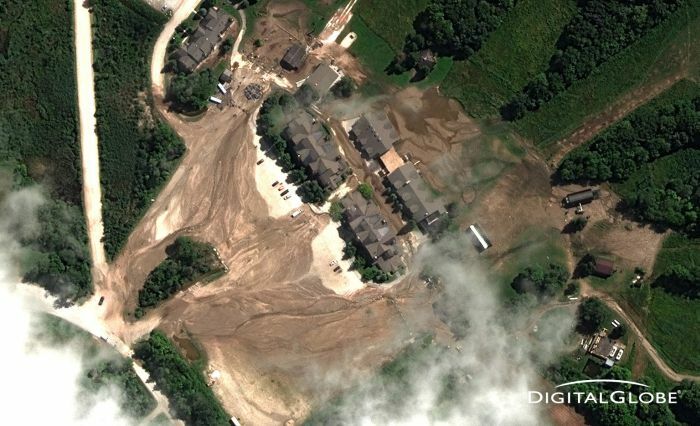 This is a natural color, high-resolution DigitalGlobe satellite image featuring flood damage at the Pico Ski Lodge in Killington, Vermont, following Hurricane Irene. 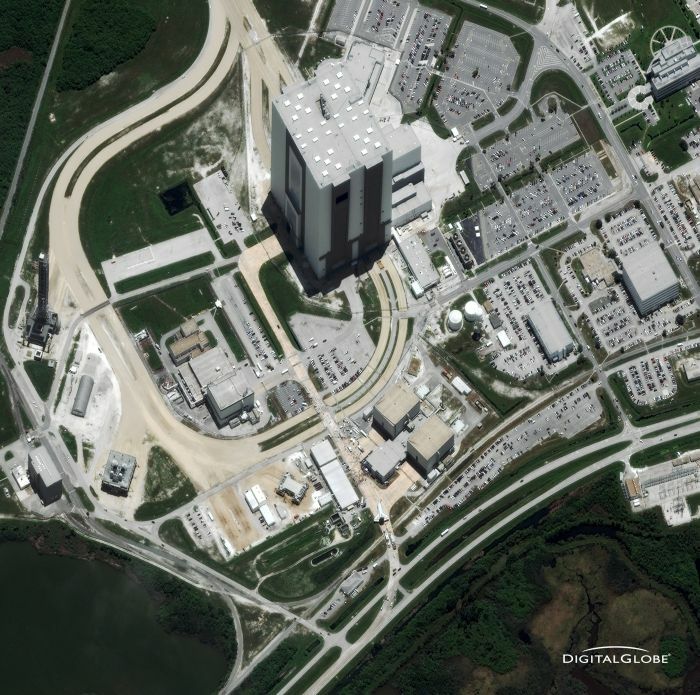 This is a natural color, high-resolution DigitalGlobe satellite image of the Space Shuttle Atlantis, Kennedy Space Center, Merritt Island, Florida. 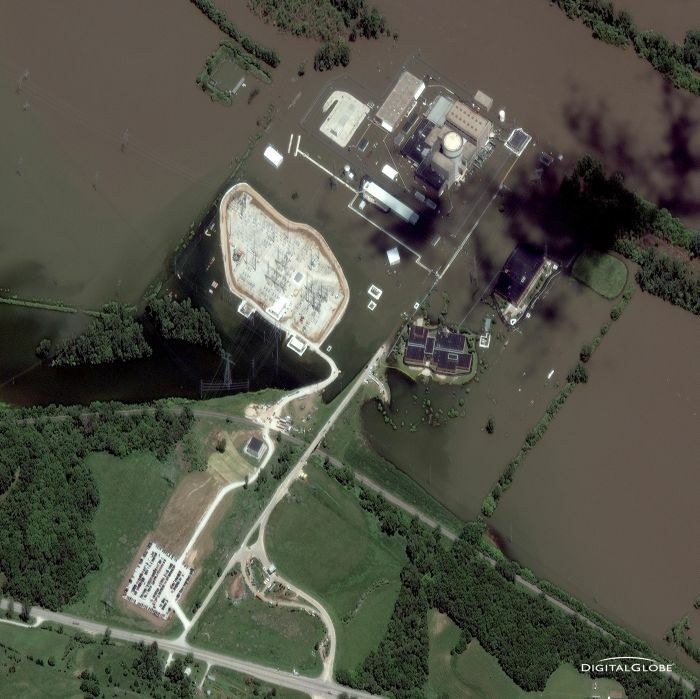 This is a natural color, high-resolution DigitalGlobe satellite image featuring flooding at the Fort Calhoun Nuclear Power Plant. 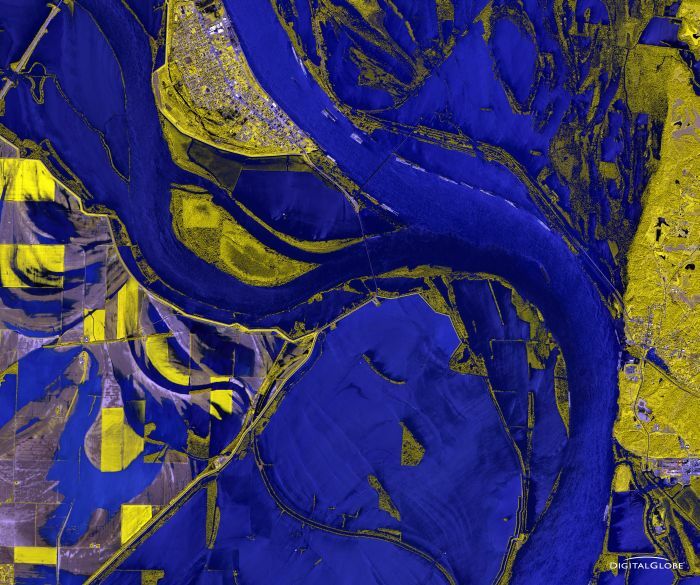 This is a false color DigitalGlobe satellite image featuring massive flooding along the Mississippi and Ohio Rivers, near Cairo, Illinois. 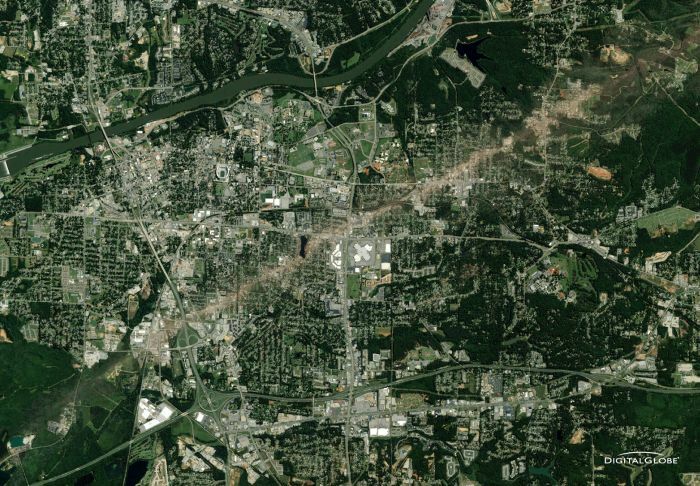 This is a natural color, DigitalGlobe satellite image featuring the damage of a tornado that struck Tuscaloosa, Alabama, on April 27, 2011. 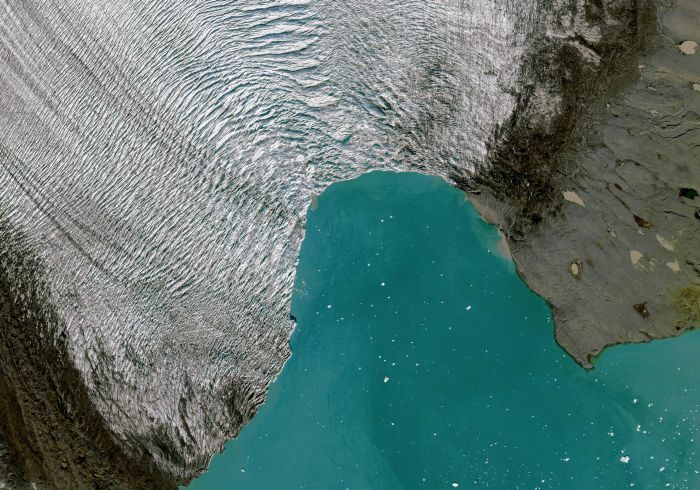 Worldwide glacier monitoring with DigitalGlobe partner Extreme Ice Survey. 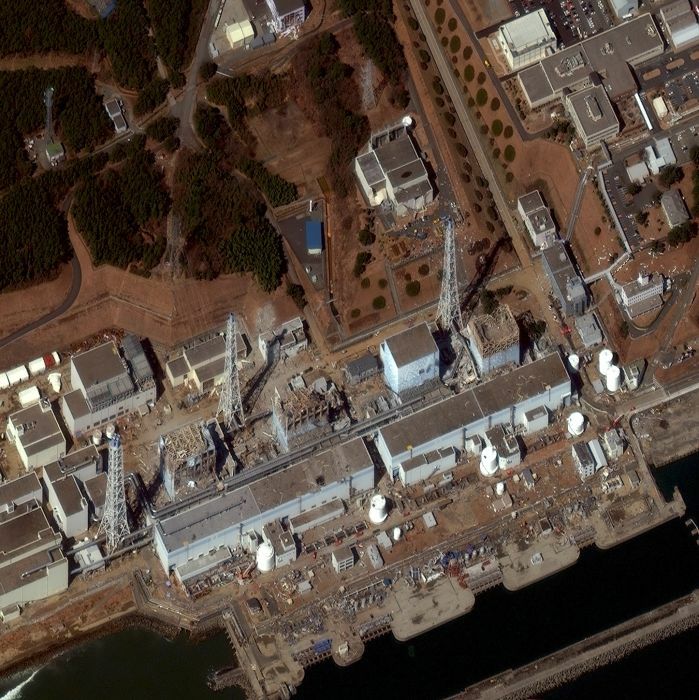 This is a natural color, high-resolution DigitalGlobe satellite image featuring the aftermath of the 9.0 magnitude earthquake and resulting tsunami that struck Japan's coast on March 11, 2011. 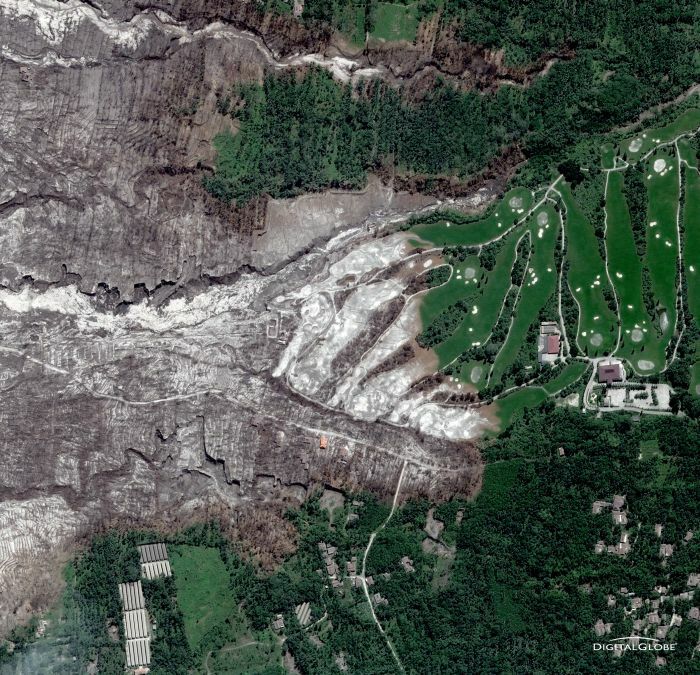 This is a natural color, high-resolution satellite image featuring burned structures at Maker Abior. 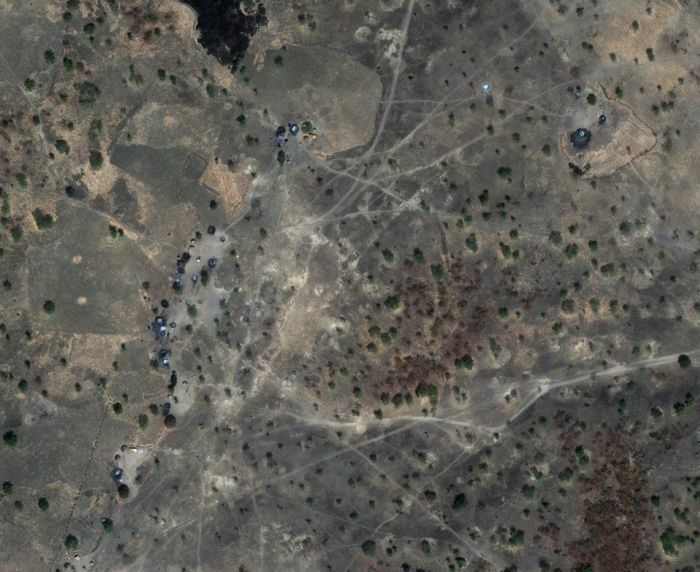 In collaboration with the Satellite Sentinel Project, this is a natural color, high-resolution DigitalGlobe satellite image featuring the human security situation in the Abyei region of Sudan. 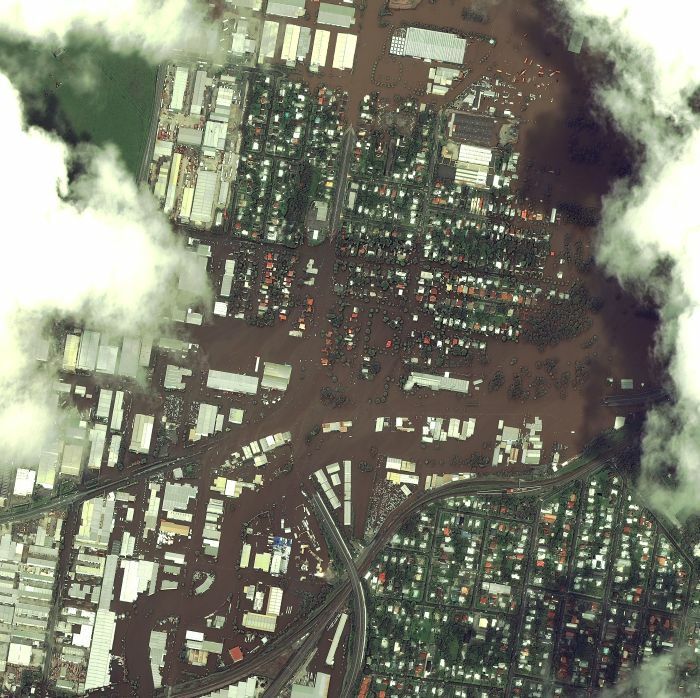 This is a natural color, high-resolution DigitalGlobe satellite image featuring severe flooding in Brisbane, Australia. 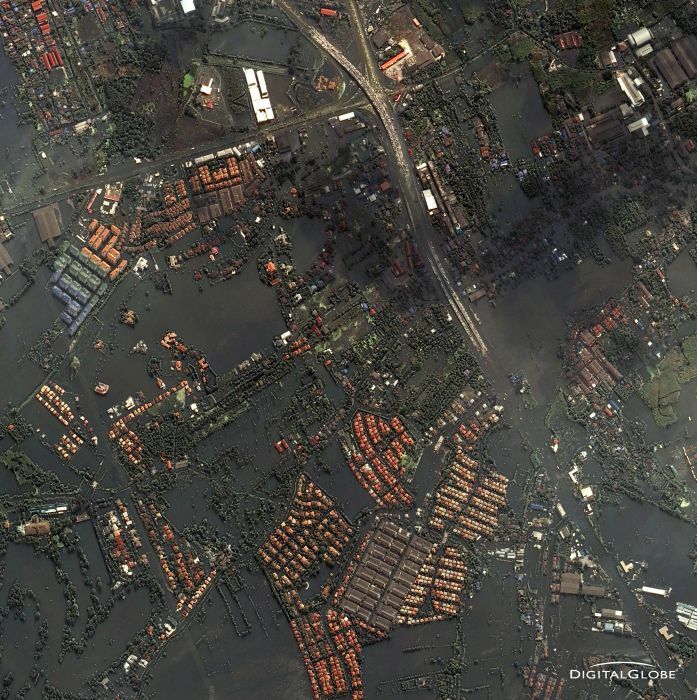 This is a natural color, high-resolution DigitalGlobe satellite image featuring damage following the eruption of Mount Merapi. 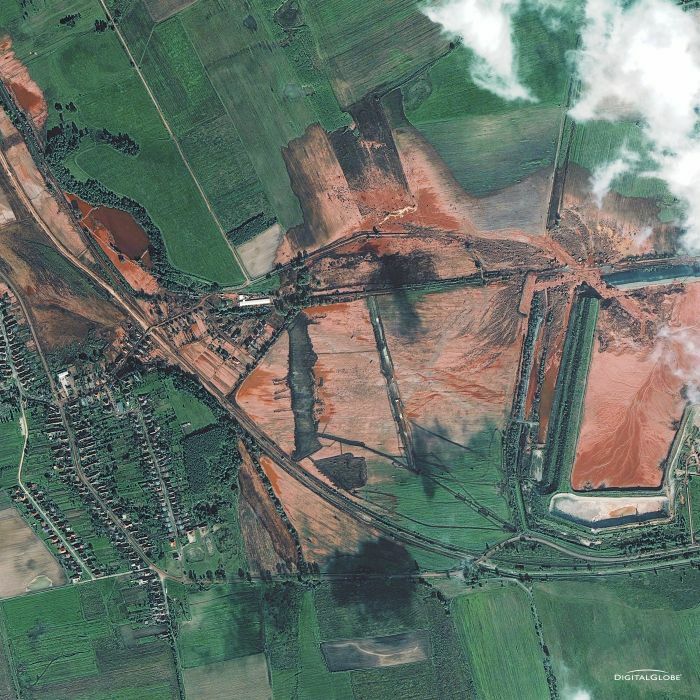 This is a natural color, high-resolution DigitalGlobe satellite image featuring damage following a toxic spill in Ajka, Hungary. 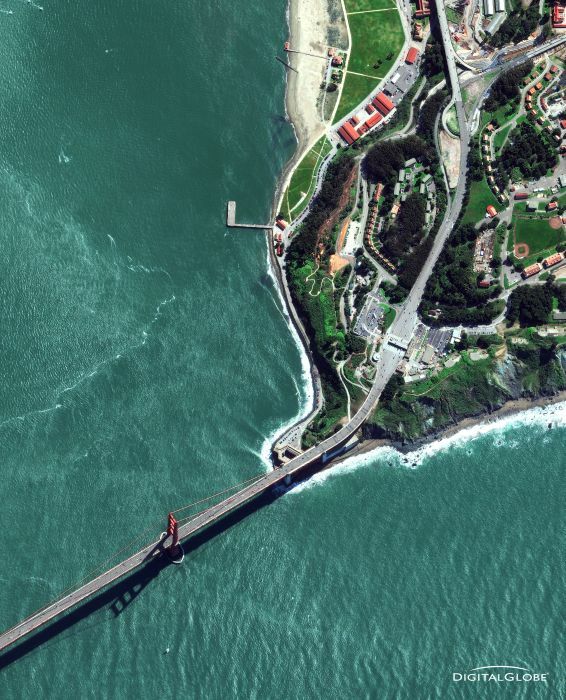 This is a natural color, high-resolution DigitalGlobe satellite image featuring the Golden Gate Bridge and Toll Plaza. 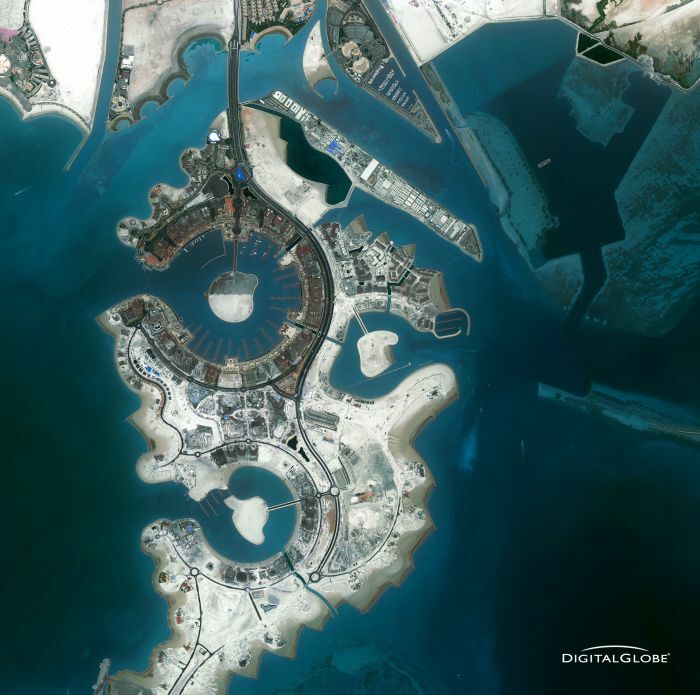 This is a natural color, 2 meter DigitalGlobe satellite image featuring The Pearl, a man-made island near Doha, Qatar. 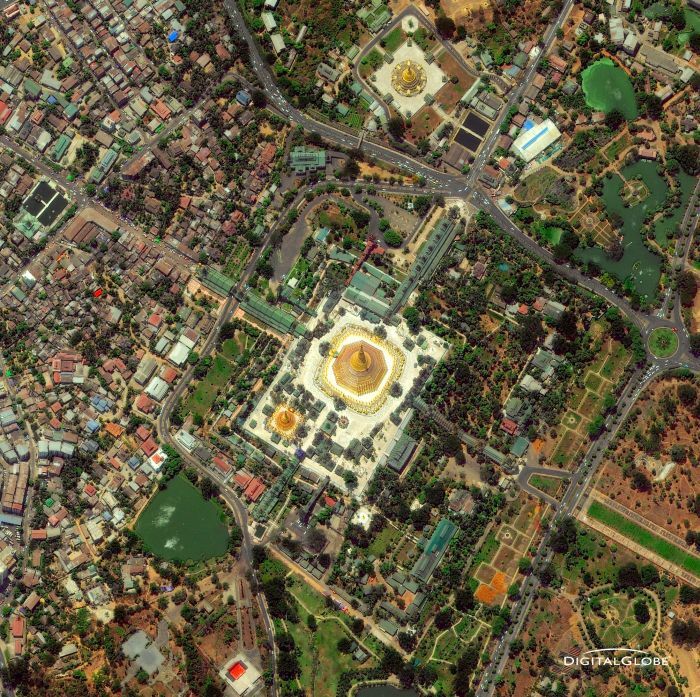 This is a natural color, high-resolution DigitalGlobe satellite image featuring the Shwedagon pagoda and surrounding area. 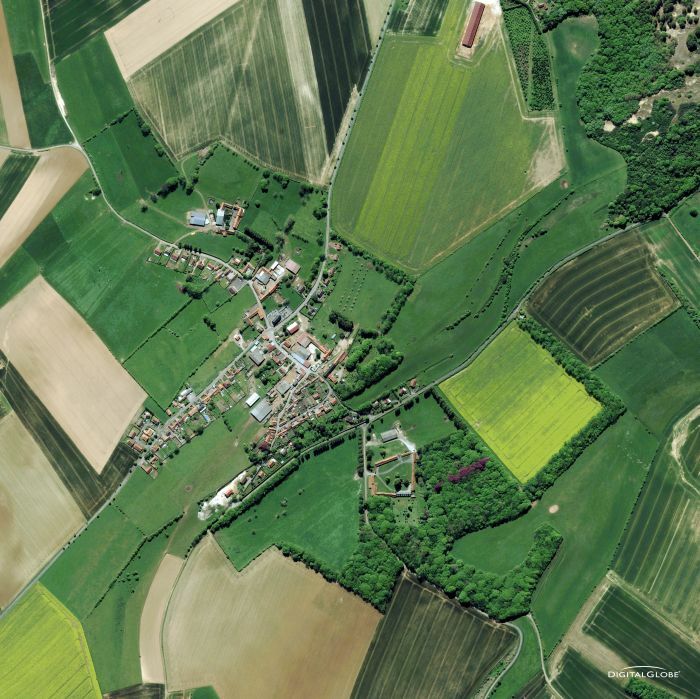 This is a natural color, high-resolution DigitalGlobe satellite image featuring farmland surrounding Lefaux, France. 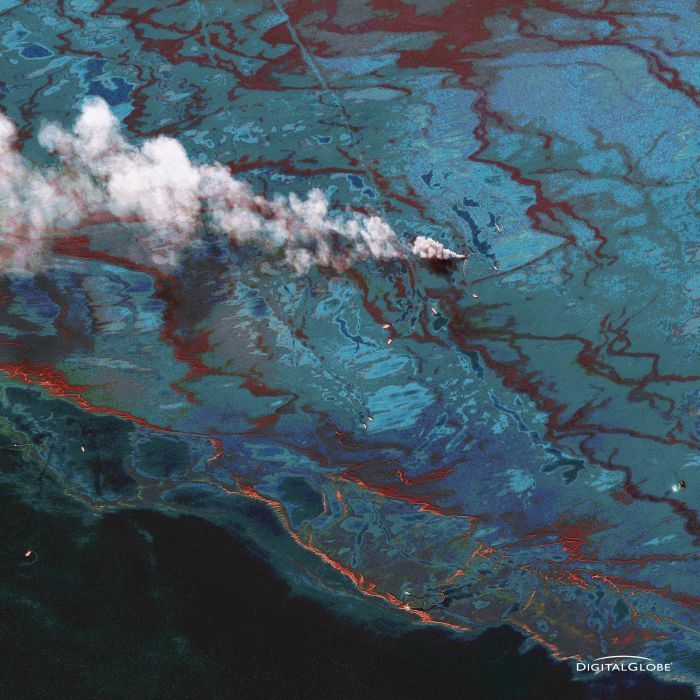 This is an enhanced satellite image of the oil spill and clean up effort in the Gulf of Mexico. This image leverages the different sensor bands of our WorldView-2 satellite to highlight the oil and dispersant. 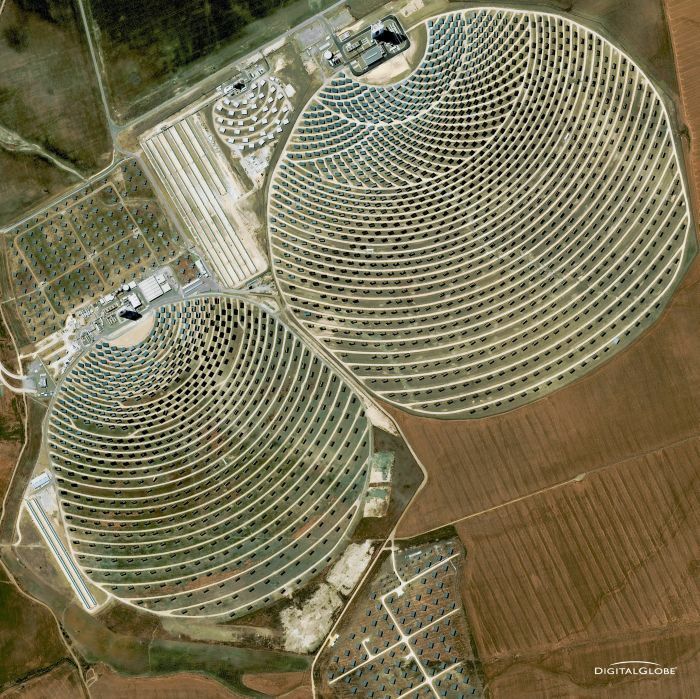 This is a satellite image of the Solucar PS10 and PS20 solar power towers near Seville, Spain. 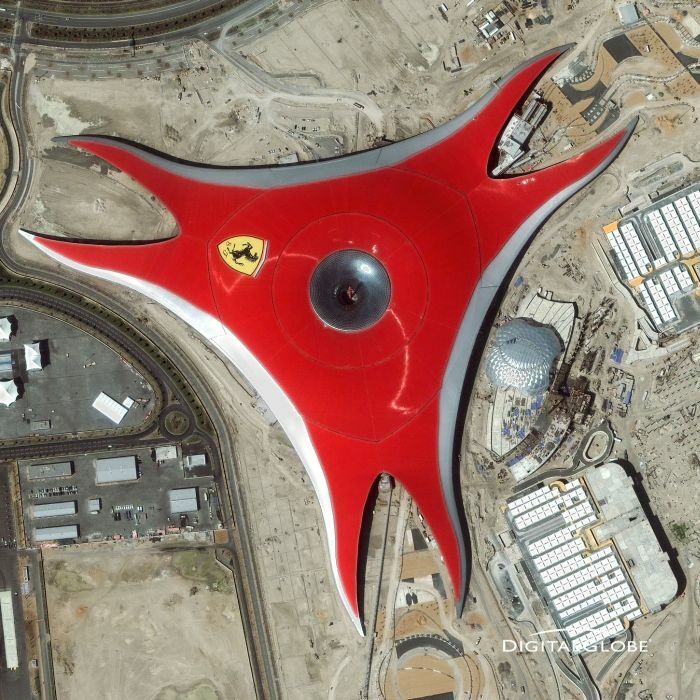 This satellite image is of Ferrari World, a theme park on Yas Island in Abu Dhabi. 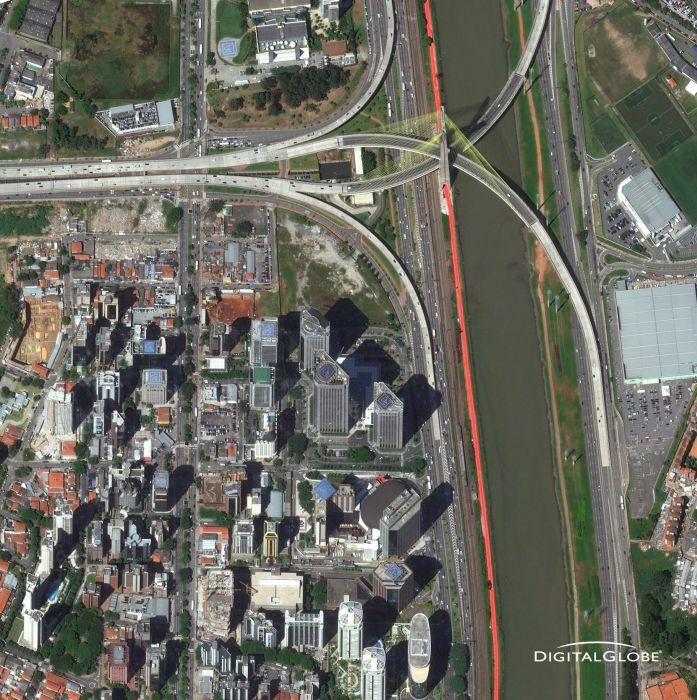 This is a natural color, 50 centimeter high-resolution DigitalGlobe WorldView-2 satellite image featuring the Pinheiros River and the Octavio Frias de Oliveira bridge. 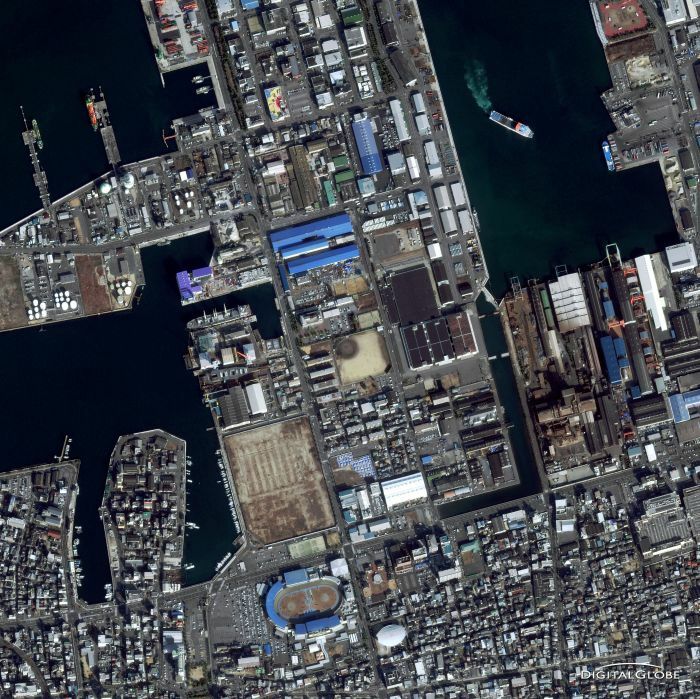 This is a natural color, 50 centimeter high-resolution WorldView-2 satellite image featuring the port city of Takamatsu, on the island of Shikoku. 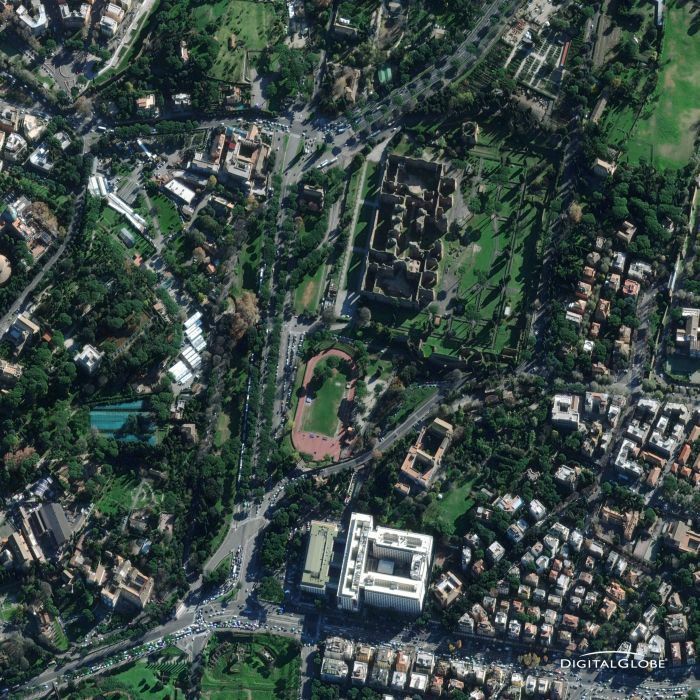 This is a natural color, 50 centimeter high-resolution WorldView-2 satellite image featuring the Baths of Caracalla; built between 212 and 216 AD. 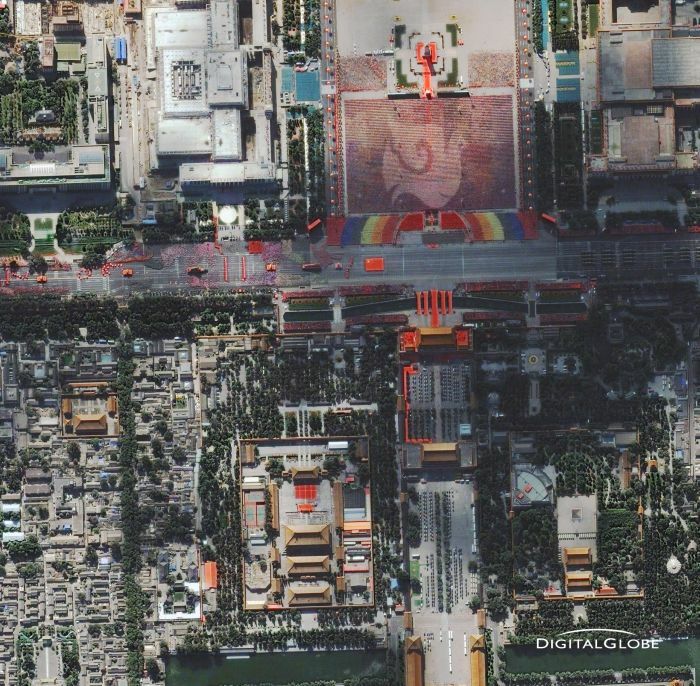 This is a natural color, 60 centimeter high-resolution QuickBird satellite image featuring China's parade commemorating the 60th anniversary since the founding of the People's Republic of China. 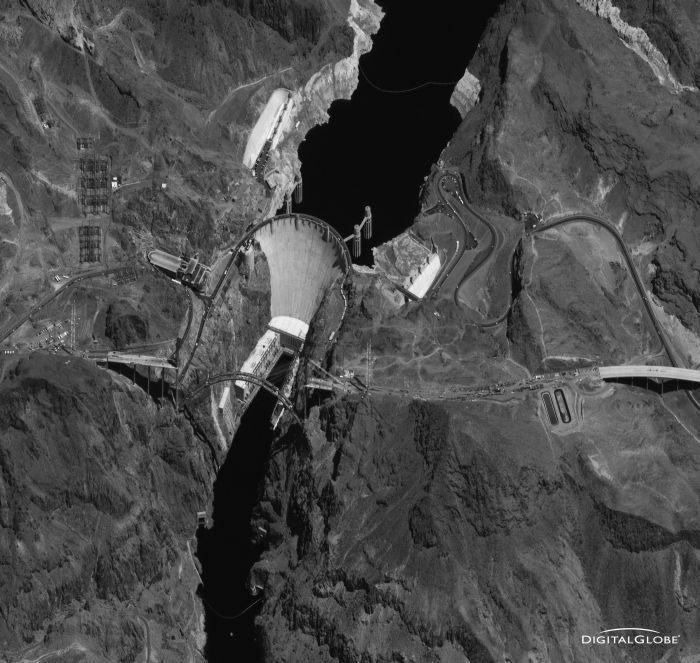 This is a Panchromatic, 50 centimeter high-resolution WorldView-1 satellite image featuring the Hoover Dam and the construction site for the U.S. 93 Colorado River Bridge. 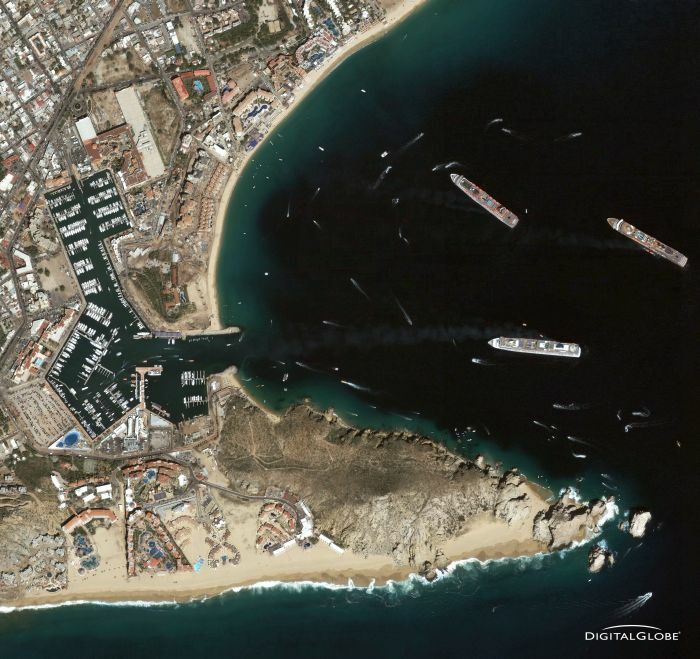 This is a natural color, 60 centimeter (2 foot) high-resolution QuickBird satellite image featuring the municipality of Los Cabos on the southern tip of Mexico's Baja California Peninsula. 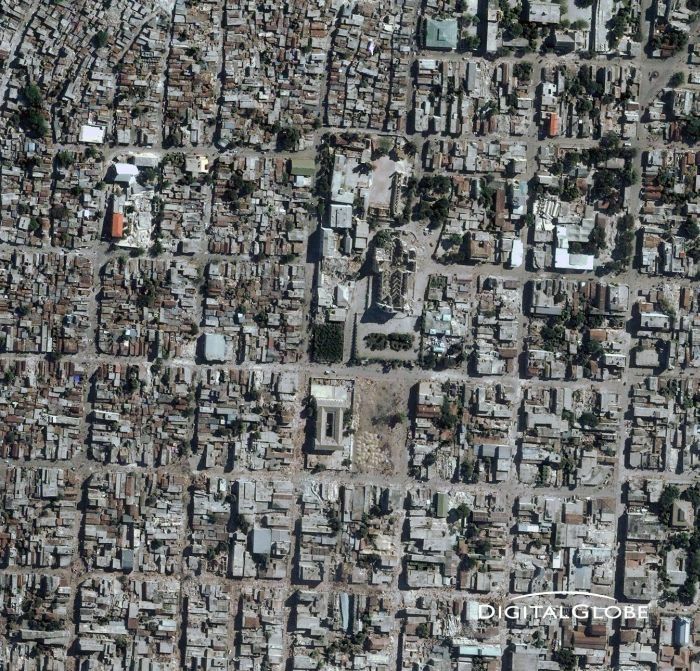 0 responses to "Digital Globe Images (33 pics)"